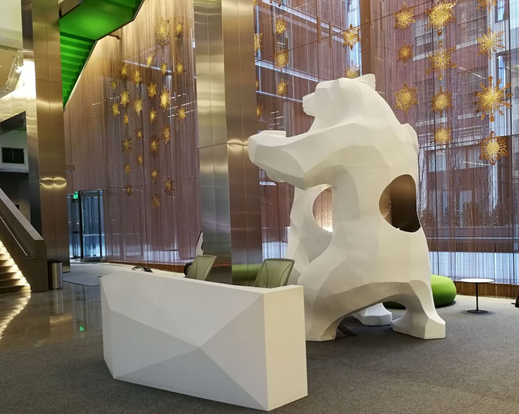 Ursa Major at Bay Adelaide East. 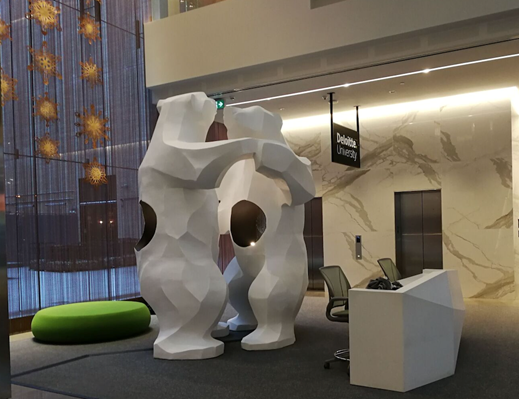 A pair of giant (12 foot) bears share an embrace in the lobby of the downtown office tower, appearing to ‘dance’ across the light-filled floor. 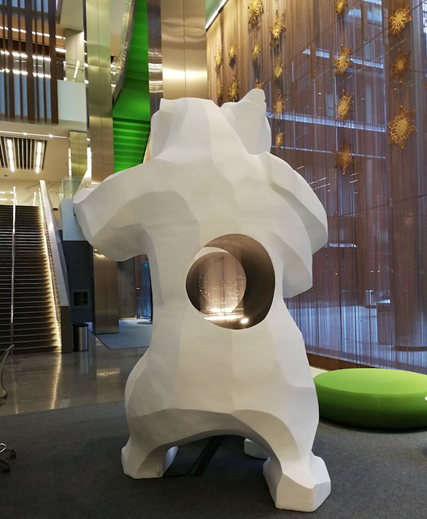 The playful installation has been returned to the Bay Adelaide East lobby for its second holiday season, following an inaugural stay last year. 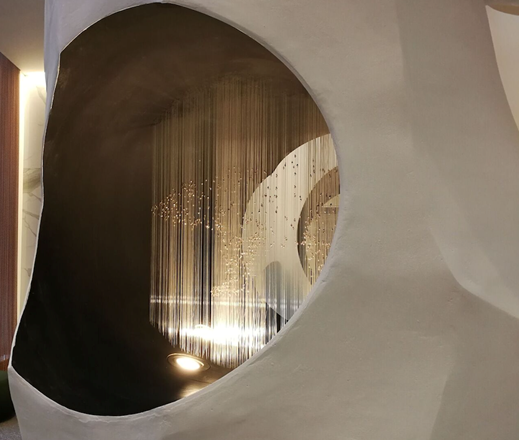 The festive artwork now stands alongside Micah Lexier’s minimalist “Two Circles” installation, an elegant public artwork that graces the building’s lobby. Made of styrofoam, plaster, and monofilament wire, the bears will remain in the lobby until the new year.